My work product that took 27 years. Mid to late 1991 to December 2018. December 1990, drove to Austin Texas. Came to coach with and learn from one of the top collegiate distance event coaches in the country. First week she hosted a summit lecture by 2 Soviet coaches, among the top in the world. The only coaches invited to attend were about 5 to 8 of the top Americans. I thought I had died and gone to heaven. Days later, report that the NCAA had passed a rule limiting the number of assistant coaches and their pay at large programs like Univ of Texas. Anti-trust law violation but it took years to strike down at the United States Supreme Court. And I learned that the person I came to coach with was being pushed out. Never coached a day at “my dream job”. Life lesson #1….Adapt to change quickly and easily. 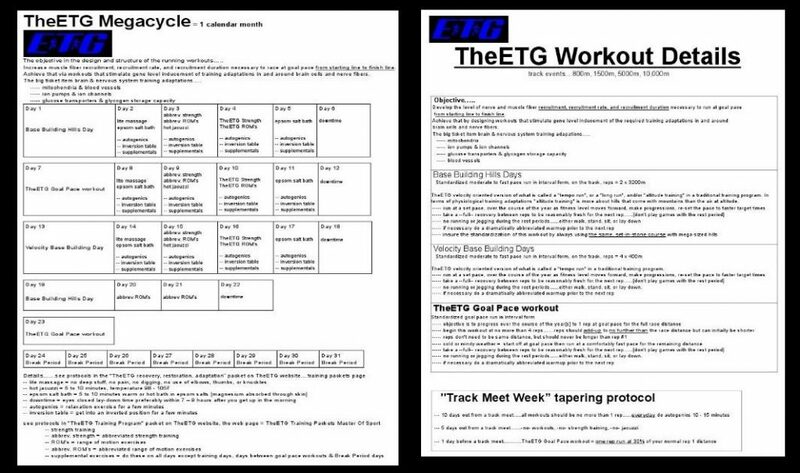 Creating TheElite Training Group track club [TheETG] and designing a training program for it became the mission. I set out to design something representing what we call in today’s world, “disruptive innovation”. 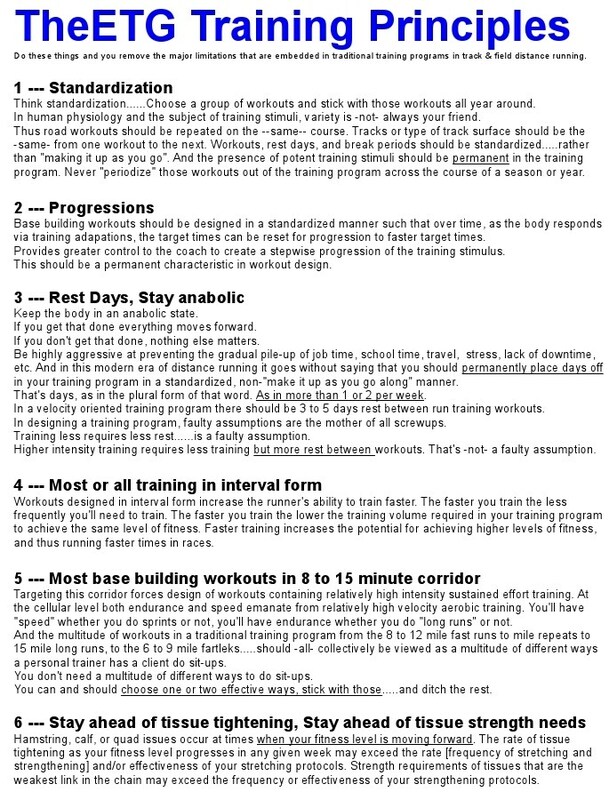 A non-traditional, science based training program with very few moving parts, that creates controlability in producing a large forward movement in fitness level in a short period of time — from a small amount of training, and doing so without the all too typical plateau or limitation in fitness progression over the long term. TheETG velocity oriented “all interval training all the time” Training Program disposes of the major strongholds in traditional thinking in our sport, issues surrounding the obsession with weekly mileage, training volume versus intensity, periodization versus standardization, altitude versus sea level, red blood cells versus plasma volume, genetics versus training, drugs versus placebo effect, and now that I’m in my 50’s….the issues around age and aging and the supposedly mandatory loss of power and endurance capabilities that people claim –has-to– come with that. The objective in the design and structure of the running workouts…..Develop the level of nerve and muscle fiber recruitment, recruitment rate, and recruitment duration necessary to run at goal pace from starting line to finish line. Achieve that through repeated workouts that stimulate gene level inducement of the required training adaptations in and around brain cells and nerve fibers. The big ticket items…..
3 to 4 years of hours a day in the Human Performance and exercise physiology labs at Univ of Texas with several of the top researchers in the world, decades in the libraries at Univ of Texas reading published sport sciences research, and 22 to 23 years of trial and error with more error than trial. Lots of frustration with repetitive steps forward followed by several steps back. Track & Field Lives Here!! !